Call Georgia, she provides Priceless Insight with detailed answers. Psychic abilities since a child. Illuminate your path. Tarot Reader and Remote Viewing. Please, have Specific questions - and get answers. Thank you for the opportunity to look into your unique divine spirit. Remote Viewing is one of my special skills. For me it’s like watching flashes of a movie. My Timing has been very good until the ruler of Father Time Saturn started making strong aspects - so it’s been a hit and miss. However, I say if I see it in here - God shows me a vision - you’ll see it out there... but, God’s timing. 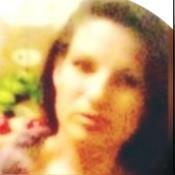 I am Clairaudient and Clairvoyant Psychic and Tarot Reader certified. During the Readings I use Tarot Cards and focus from my crown to help amplify the messages, visions and feelings. Spirit guides will use any or all of these channels to come through in a reading. ABUSIVE THREATENING or AGGRESSIVE BEHAVIOR WILL NOT BE Tolerated. YOU Will BE BLOCKED. Amazing as always!!!! Can not recommend her enough. Absolutely my favorite on here...sees everything so clearly without me saying a word. Absolutely LOVE Georgia. I always feel better after speaking with her, and she’s so kind and accurate. Thanks so much, angel! Every single thing she's told me has come to pass. Most genuine, sincere, spot on, and down to earth reader on keen. Love. Love, love, love her!!! 5 stars isn't enough. Have your questions ready and let me illuminate your path." "Have your questions ready - Empathic Gifts"
"Welcome to an uplifting experience. My Name is Georgia. "Thank you for giving me an opportunity to help you." "With my Empathic born gifts I want to offer you a reading from the energy of the Ocean and the Divine." I have been giving guidance for professionals for many years. Call Today! Pacific Blue Psychic has been a user of Keen since 2007. Getting Life Questions advice from Pacific Blue Psychic through www.keen.com is safe, secure and confidential.